Trailer Tech Parts & Service Inc. is a full service “One Call Does It All” trailer repair shop in Lancaster County, PA. Your trailer will be serviced by our quality trained trailer technicians. We do everything from picking up and delivering trailers for service, to spotting units at your desired location. If you have damage to your trailer from a minor or major accident, we will work with your insurance company to get you back on the road fast. Trailer Tech is also an authorized Roller Bed System floor installer and service company. 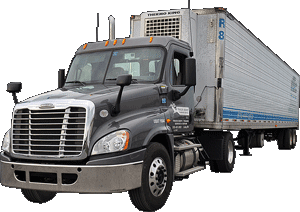 We service tractor trailers in Lancaster, Berks and surrounding areas. Ask about our repair and preventative maintenance programs that are tailored to your companies’ needs. Meet or exceed the OEM standards. Meet our customers’ and D.O.T. standards.